Standing next to the River Cherwell since 1458, Magdalen is one of the most celebrated constituent colleges of Oxford University. 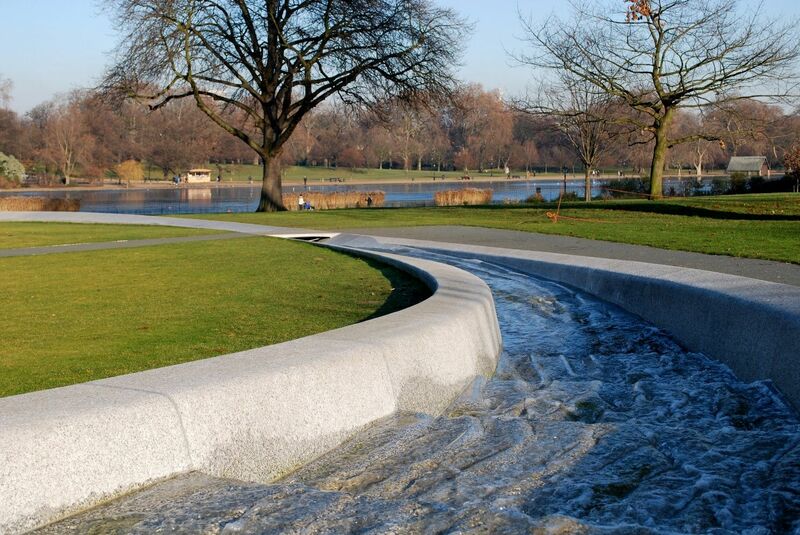 Famous for its choral traditions and deer park, it boasts numerous celebrated alumni including author C.S Lewis. 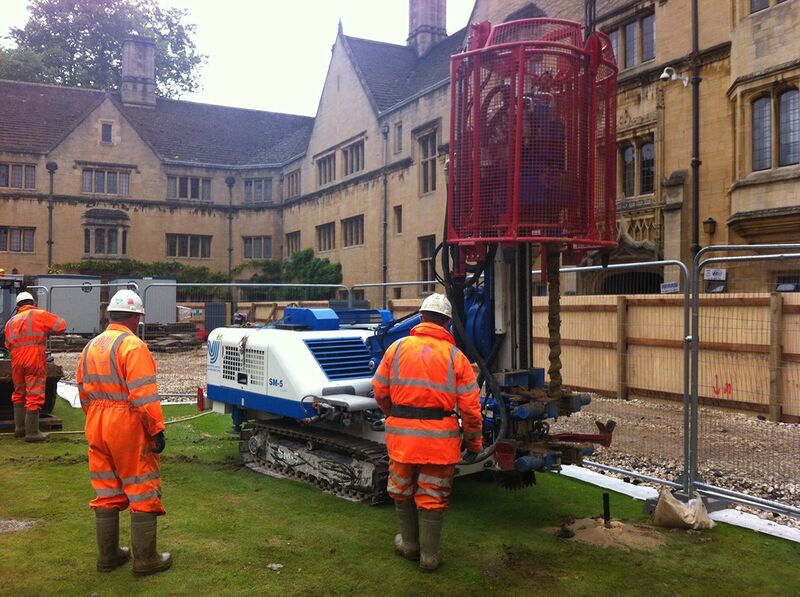 When the New Library at Magdalen College was renovated, WJ was called in to help carry out excavations for the modification of an existing basement, as well as a new extension which would sit below the groundwater level. 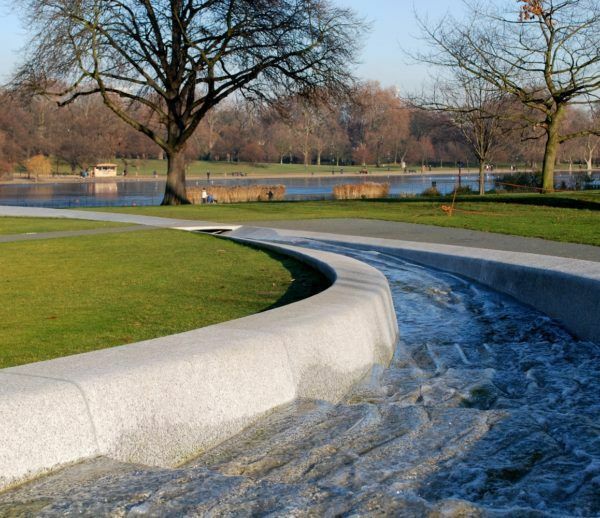 A large project with various obstacles, a particular challenge on site was the unpredictable groundwater levels that were heavily affected by water levels of the river. These levels varied seasonally, restricting access to the enclosed area surrounded by historic buildings. 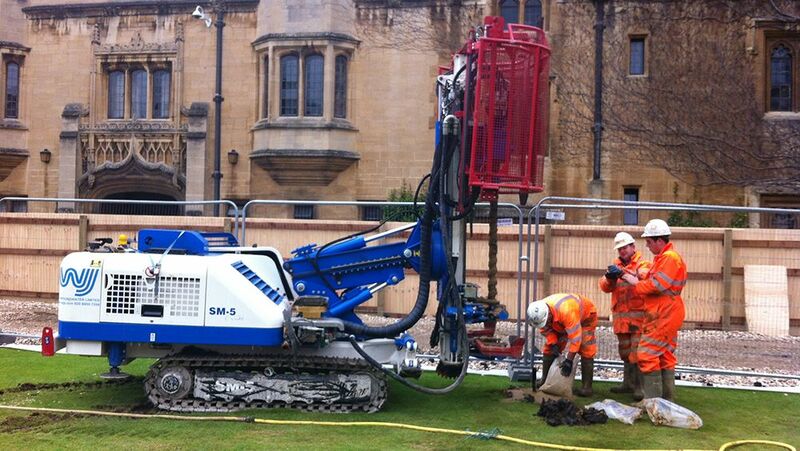 WJ were, however, able to provide a “mini rig” to undertake the installations in this sensitive environment. 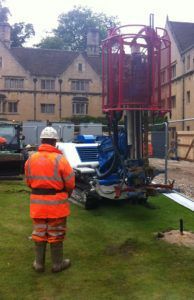 This initially acted as a comprehensive dewatering trial to determine the effectiveness of a wellpoint system on site. This successful trial reassured the client and design consultant that an effective excavation could be carried out in drier conditions. 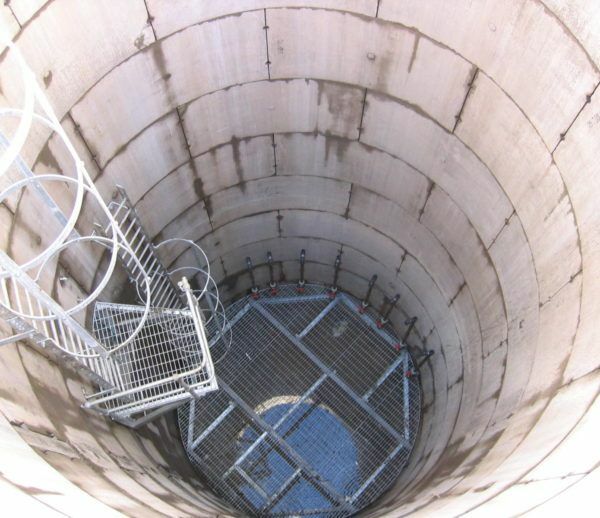 WJ collected the data used to validate the design for the final wellpoint array used for the main works, which in turn allowed the main contractor to proceed unhindered by groundwater ingress. 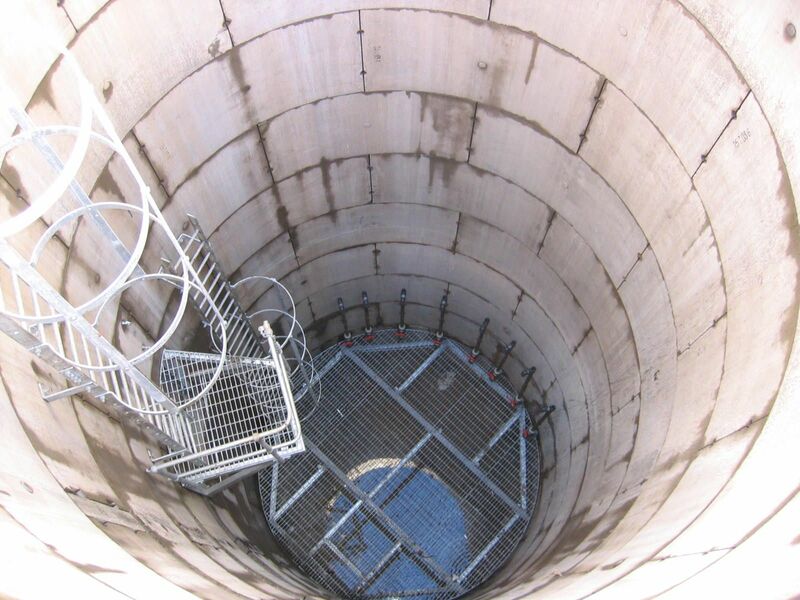 All wellpoints were drilled through sand and clay soils with a modern rotary rig and auger bits, which meant minimal spoil production, low water consumption and a very efficient and clean installation. It was an absolute pleasure to be part of the restoration and preservation of one of Britain’s best-loved historical sites.